If you had told Pearl Cantrell that bacon was bad for her, she probably would have laughed. Pearl died just shy of her 106th birthday after eating bacon every day, and she was physically active and loved to dance right up to the end of her life. Pearl regarded bacon as the secret to her long life, and she told Texas TV station KRBC she would eat it at every meal if she could. Bacon love is at an all-time high, and consumption has skyrocketed in recent years. 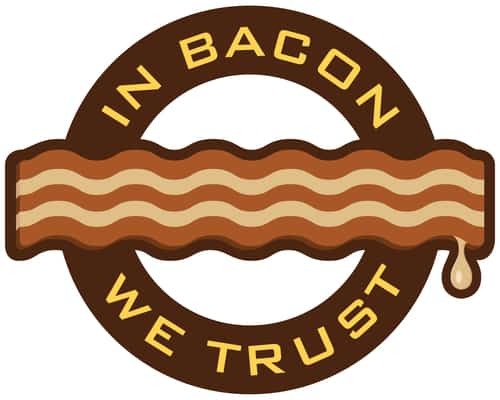 Americans consume 1.1 billion servings of bacon a year, and 65 percent of us support naming bacon as our national food, the NPD Group reports. But is all this bacon healthy for you? Overconsuming any processed meat can have adverse health effects, but according to University of Zurich researcher Sabine Rohrmann, these adverse effects can be reduced by eating no more than 0.7 ounces of meat per day (equal to one strip of bacon). She adds that bacon alone will not increase health risks if you maintain an otherwise healthy lifestyle. Not only that, but eating bacon in moderation can bring you some important benefits. A medium slice of bacon contains about 3.34 total grams of fat, which includes 1.10 g of saturated fat, 1.48 g of monounsaturated fat, and 0.38 g of polyunsaturated fat, according to FatSecret. Saturated fats do not raise the small, dense type of LDL “bad cholesterol” that is associated with heart disease, but they do raise HDL “good cholesterol,” which fights bad cholesterol. This means that bacon can actually help fight bad cholesterol and reduce the risk of heart disease. If you’re concerned about carbohydrates, another piece of good news is that bacon is low in carbs. A medium slice of bacon contains 0.1 g of carbs, according to CalorieKing. This amounts to less than 1 percent of the recommended daily allowance, so eating a slice of bacon for breakfast leaves you plenty of room to get your daily carb intake the rest of the day. Do you ever notice how full you feel after having bacon and eggs for breakfast? The saturated fat in bacon has another beneficial side effect: It helps curb junk food cravings. Saturated fats help stabilize blood sugar levels, eliminating the symptoms that lead us to crave sugar and starch. If you’re looking for bacon recipe ideas to help fill you up so you won’t crave junk food, search Shutterstock for some mouthwatering pictures to stimulate your imagination. When bodybuilders discuss diet, one debate that inevitably comes up is whether or not to eat bacon. That’s because bacon is packed with protein. One slice of bacon contains 3 g of protein, according to The Bacon Page. That means 7 thick slices of bacon contain almost as much protein as 5 large hardboiled eggs. An average adult only needs about 0.8 grams of protein a day per kilogram of body weight, equivalent to your weight in pounds times 0.36, according to The Physicians Committee. So if you start your day with a slice of bacon, you’ve got a great start toward meeting your daily protein intake. Bacon also supplies an impressive array of other essential nutrients. Bacon provides 89 percent of your daily supply of selenium, according to Authority Nutrition, which is important for a healthy thyroid and useful for preventing degenerative eye diseases, hair loss, arthritis and heart disease. Bacon also supplies 53 percent of your daily phosphorus, which builds DNA, fuels muscles with ATP, and helps form strong bones and teeth. Finally, bacon provides niacin, critical to body metabolism, and choline, vital to brain health. Eggs are also a great supply of choline, literally making bacon and eggs a smart breakfast choice. You might be wondering whether turkey bacon is healthier than pork bacon. The answer depends on what health issues you’re concerned with. Turkey bacon is lower in calories with less fat, including less saturated fat, and it also has more iron, phosphorus and folate. However, pork bacon has less sodium and more healthy fat, as well as more protein, zinc, selenium, choline and niacin. What does it all mean? Turkey bacon is better if your main concern is cholesterol, but if you’re more concerned about your blood pressure and sodium intake, go for the pork bacon.